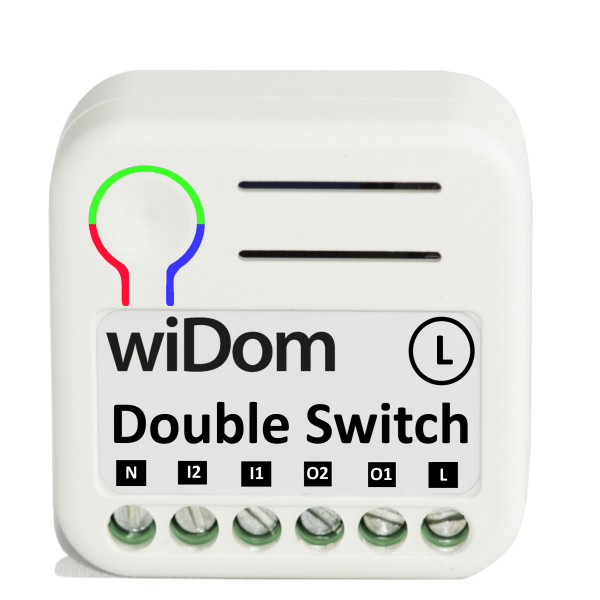 Product information "WiDom Double Switch L version"
With the WiDom flush-mounted Double Switch Relay, you can integrate existing electrical installations (e.g. lighting, airing systems…) into a Z-Wave network. Thus, you can control two connected devices at the same time and still independent of each other. The connected devices can still be controlled independently with the existing wall switch, but – thanks to Z-Wave – also via remote control, smartphone or sensor-controlled automation. The modul has got two different versions: L version and N version (WIDEWDS). This version (L version) is used in system, which require the control by line signal. The module is equipped with contact protection technology (zero crossing) which reduces the electrical stress on the relay contacts and ensure a longer life. Related links to "WiDom Double Switch L version"